The study of ethnic minorities and their role in the domestic politics of their host states has long attracted scholars from a wide range of disciplines in the social sciences and humanities. By contrast, national (or external) minorities, have been under-represented in the literature on ethnic minorities, although the interest has increased since the collapse of communism and more recently since the eruption of violent conflict in Kosovo. Ethnic Germans in particular, although still numbering millions and spread over twenty countries in western, central, and eastern Europe, have attracted only little attention. 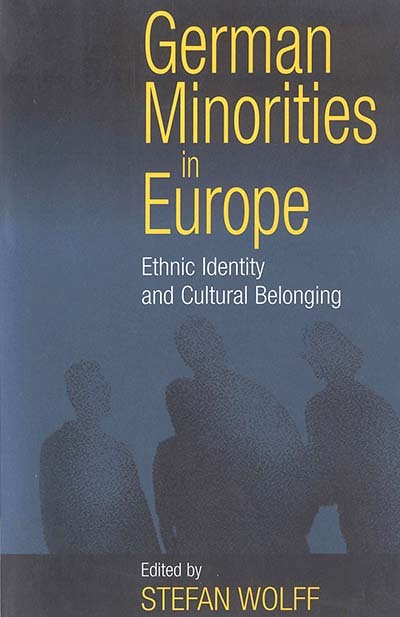 This volume addresses the issue of Germany's external minorities, exploring the complex interrelationship between their ethnic identity and sense of cultural belonging on the one hand, and the political, economic, legal, and social situation in their respective societies, on the other. Leading specialists, representing a wide spectrum of viewpoints on the social and political conditions under which German minorities live today, provide case studies of all the major individual minority groups. In this way, a comprehensive picture of Germans and German culture in Europe emerges that provides both historical and contemporary perspectives on a diaspora community with an uncertain future between assimilation, segregation, and emigration. Stefan Wolff was educated at the University of Leipzig, Germany. He received an MPhil from the University of Cambridge and a PhD from the London School of Economics. He is currently Chair in Political Science at the University of Nottingham.